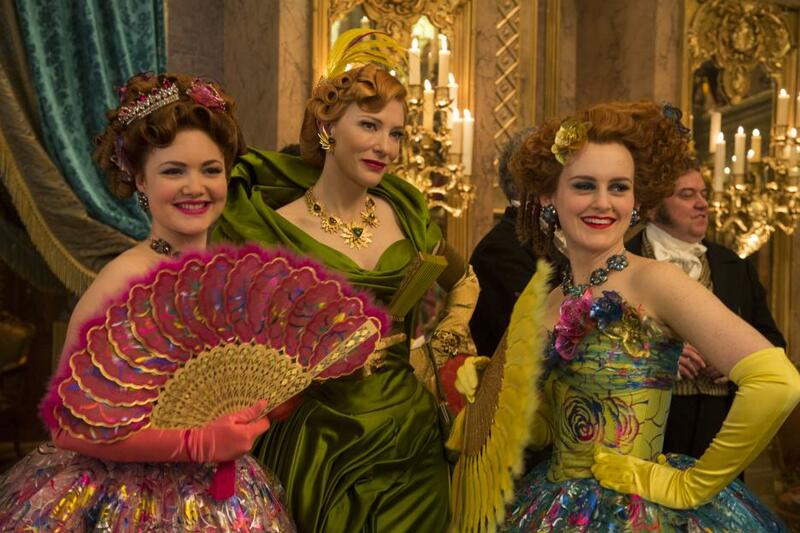 This story stars Lily James as Ella, Richard Madden as Prince Kit and Cate Blanchett as the wicked stepmother. 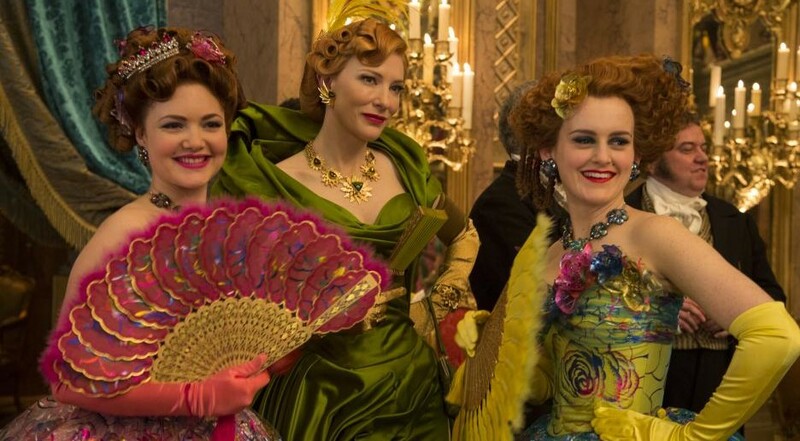 Helena Bonham Carter as the Fairy Godmother and Sophie McShera as one of the wicked step sisters add more star power to this magical set of characters. 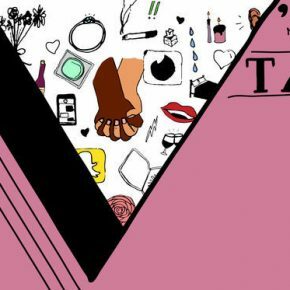 Aside from a new cast, the classic story unfolds on the screen in much the same way as it has before. Much to the delight of fans of the classic cartoon, the film pays tribute to several key scenes. Expect the movie to stick to the traditional storylin – the well-known story dressed up for a new audience. This movie features beautiful wide shots of breathtaking scenery. The palace and Cinderella’s home are filled with rich details. The ball is decorated with elegant, lavish drapings and dresses. The most fantastic element are the costumes – ethereal and whimsical, exactly what a fairytale should be. The rich colors pay tribute to the cartoon, but elevate the wardrobes into its own spectacle. 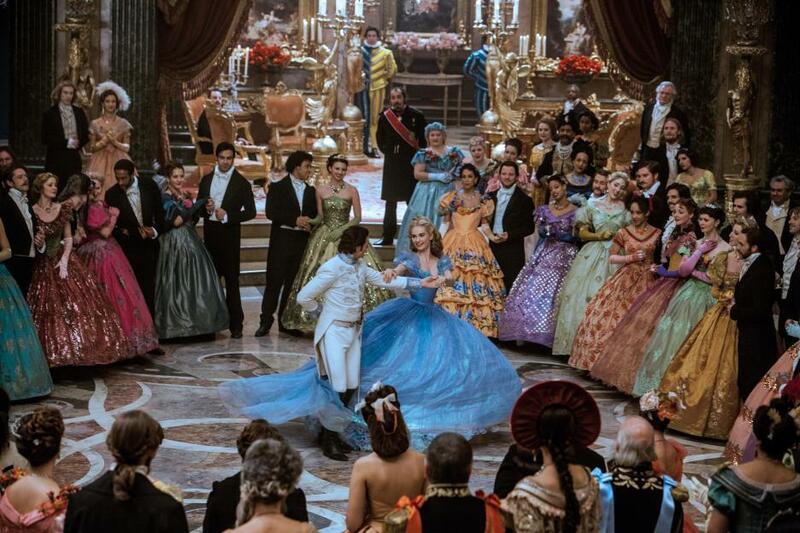 The much-anticipated transformation of Cinderella’s ball gown does not disappoint. Graceful and elegant, James is a dream alongside the stunning animation. The crowning moment of Cinderella’s transformation, is of course the glass slippers– which are beautiful and thanks to the fairy godmother, “comfortable,” perhaps the most magical aspect of them all. The characters proved delightful, from the hilarious hi-jinks of the stepsisters to the warmth of Cinderella’s parents. Blanchett shone in her role as she added depth to this typically two-dimensional character by showing the motivation and the root of her wickedness, namely her own sorrow. As Cinderella, James is the ideal, graceful princess who proves herself to be kind and courageous in her life. Madden plays the prince in a more relatable manner, adding character and wit. The prince notes that beyond being beautiful, Cinderella is kind, courageous and unlike any maiden he has ever met before. Swoon-worthy lines from the prince such as, “Believe me, they’re all looking at you,” complete the picture-perfect storybook tale. The romantic scenes and costumes are the most inspired element to this movie with the same happily-ever-after. For a beautiful rendition of the quintessential princess story, “Cinderella” does not disappoint. There are no dramatic changes to the classic story, which makes it a predictable, but lovely, spectacle.